If you are looking to create that perfect smart home environment, then everyone knows you need some smart lights. If you are already an Apple fanatic and have an iPhone & an iPad well then you need to ensure your lights are compatible with HomePod. What is the point of a smart light if Siri cannot turn it off? Smart lights just liven up your home, creating the unique atmosphere that suits your mood. All packed into a nice system that can be controlled by your Apple HomePod. Looking for the best HomePod compatible light bulb? 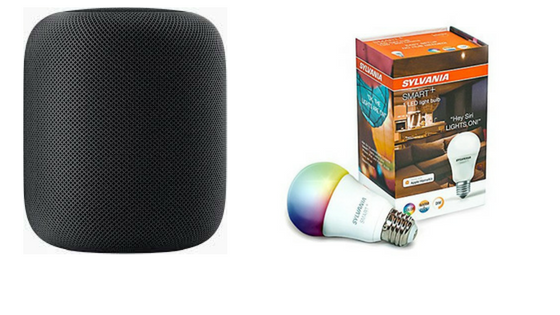 We have prepared a breakdown of the best smart light bulbs that work with HomePod. If you want to adjust the brightness and the colors with Siri commands and also use your Home app then read on. Find out about the best 5 HomePod compatible light bulbs! 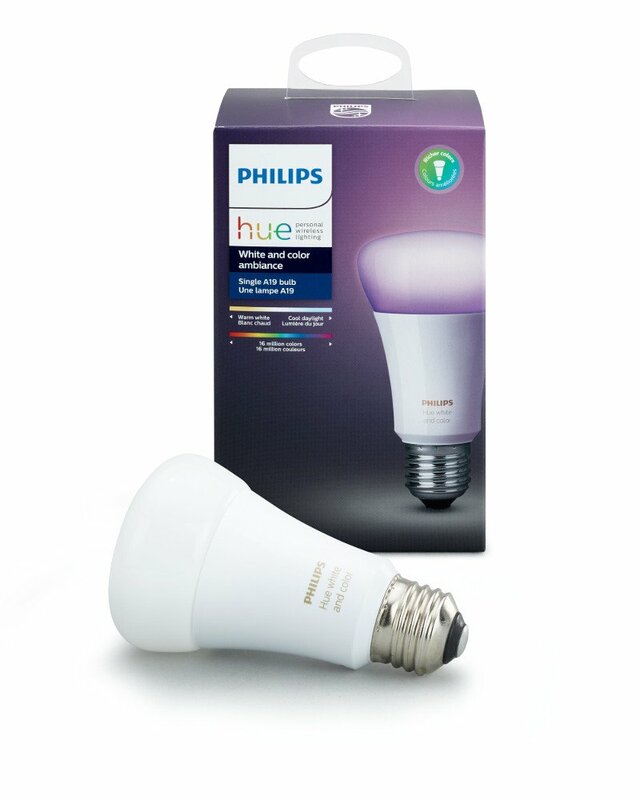 Philips Hue White and Color Ambiance starter kit is a perfect option for setting up your first smart light system. 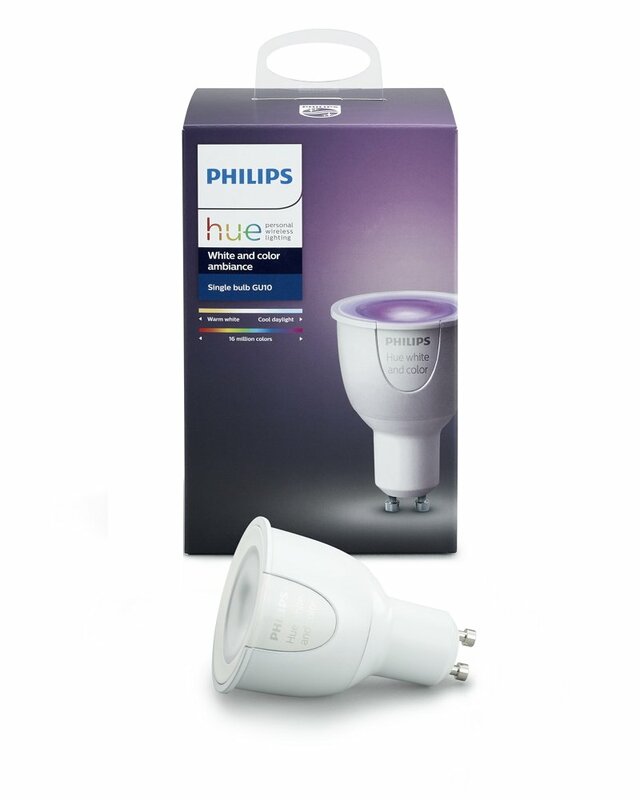 Philips Hue brand has definitely been dominating the smart light industry for some time now. And that is because their products provide you with superb quality. No matter where you are, you will be able to control your lights. Set up schedules so you know your house will never be left in the dark. All the lights can be connected together via the Hue Bridge, which integrates easily into your HomePod setup. Easily set up the perfect lightening mood for your next part with this Philips Hue smart light bulb. LIFX Mini White WiFi Smart LED doesn’t need any extras. This smart light bulb has wifi built in so all you do is pop it in like any traditional bulb. Simplicity is always a winner, no? But that does not mean this bulb does not have any quality features. Easily connect it to your wifi and suddenly you have a fully compatible HopePod smart light bulb. Set up any sort of lightning schedule you want through Siri commands. Or just adjust the brightness from the comfort of your couch. Your light bulb will be accessible via the cloud so you can remotely change it at any time. No more fretting about entering your home in the darkness. With the LIFX Mini White, you can turn on your lights while you are still come home in your car! 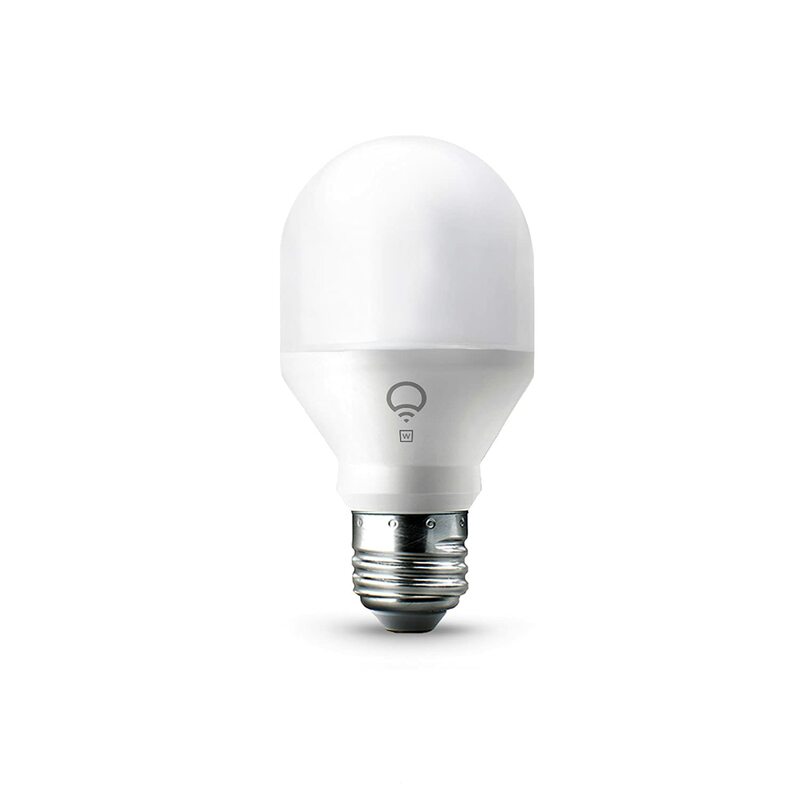 SYLVANIA Smart+ Full-Color bulb, can integrate effortlessly into your HomePod smart home environment. Once connected this light bulb provides a whole range of features. Like scheduling and managing your smart lights even if you are away. This smart light could even be used as a floor lamp or a table lamp, the options are limitless. And when it is time to change the mood? This bulb gives you a choice of over 16 million colors to choose from. Make the room turn red with the command of your voice. Or dim the lights into a calming green! 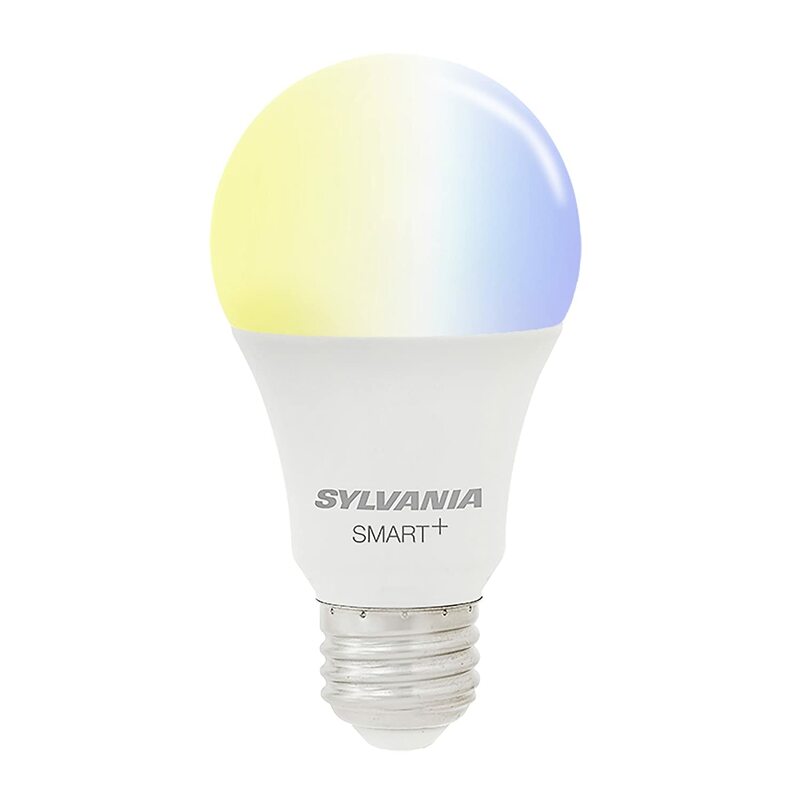 If you are looking for colors then look no further than the SYLVANIA smart bulb. This bulb opens up so many options with your HomePod. 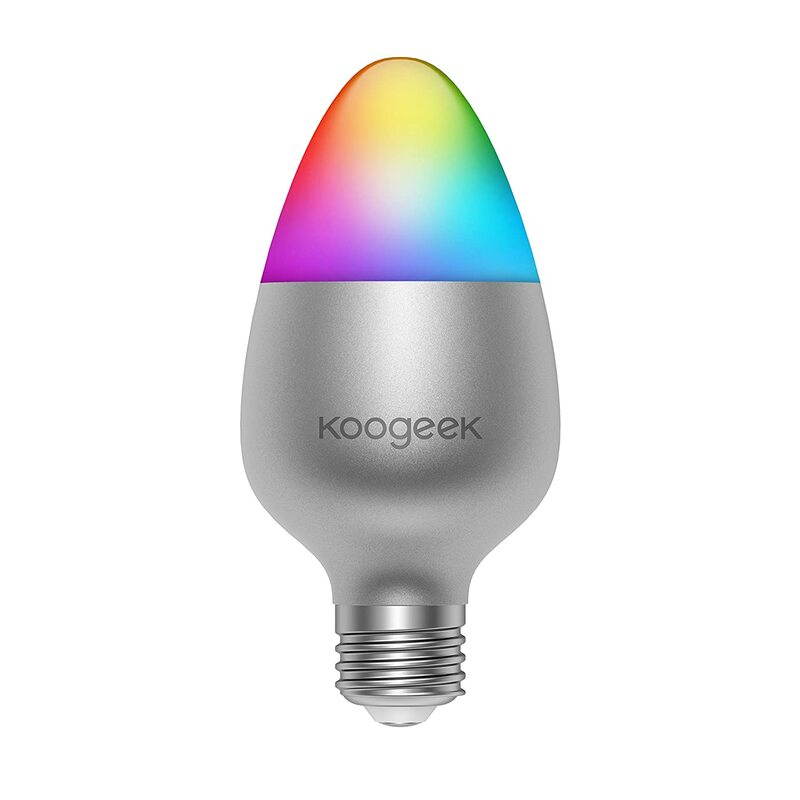 The Koogeek Wifi smart is another great choice for your new smart bulb. Imagine you sit down for a movie and just have to say “Hey Siri, it’s movie time!” Then your lights are automatically adjusted for the ideal viewing experience. With over 16 million colors, this light bulb can easily make any ambiance possible from the commands of your HomePod. Set your perfect lighting schedule, brighten your lights slowly as you wake up for example. Make sure they turn on for 6 PM when you get home from work. Amazing smart bulb the Koogeek will pair up nicely with your HomePod allowing you to manage your lights on the go. Open even more smart light goals with the Philips Hue bulb, pair it with next level accessories like a Hue Dimmer or a Hue Tap. That’s it for our best HopePod compatible light bulb, hope you enjoyed the read. Please do let us know what smart bulb you are using in your home today! We always want to find out what our readers are using, maybe you even have a better product?